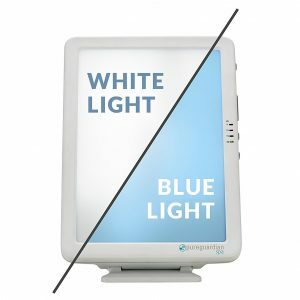 A nice looking and well sized light therapy unit designed for SAD, made by the trusted manufacturer Northern Light Technologies. Pricey compared to some other models out there but this is justified with a class leading 7-year manufacturers warranty. The light is provided by two CFL bulbs which produce a different tinted light to their LED counterparts which will be preferable to some. 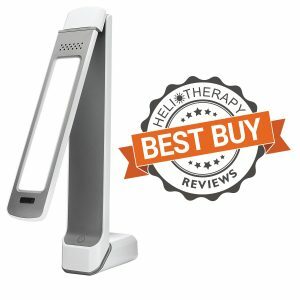 Over 140 reviews on Amazon.com at a rating of 4.0 stars, this light has received a lot of positive praise with only a few minor gripes noted. The manufacturer is Northern Light Technologies, a Canadian based company formed in 1989. 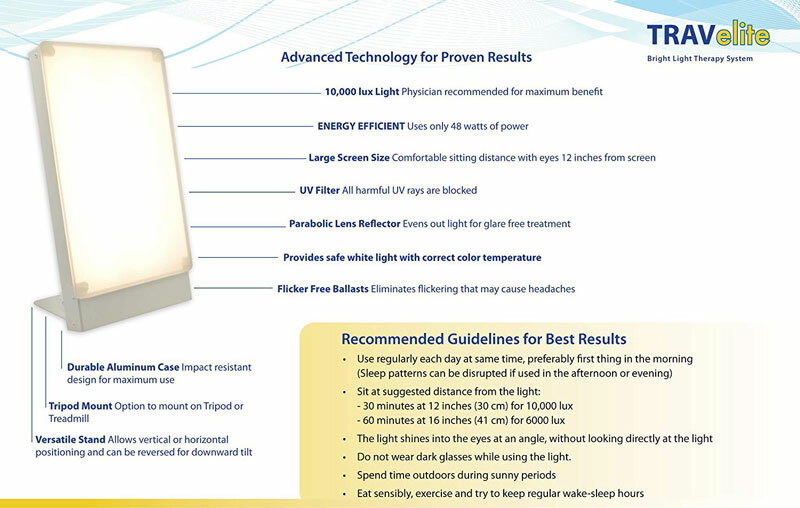 The company specializes in light therapy products to treat SAD. 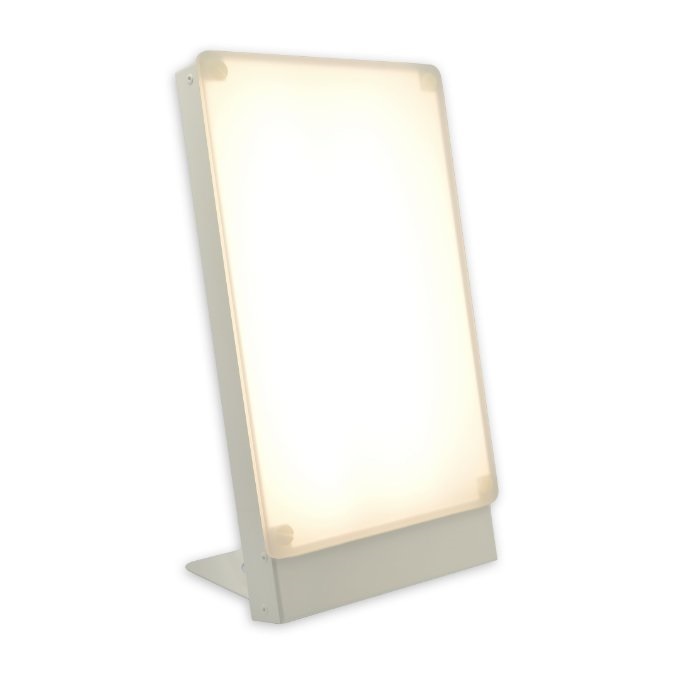 The company manufactures a number of lights and has been a leading player in the Canadian market, helping co-found the Circadian Lighting Association in 1993. This unit is a plain, nice looking affair with a case made from aluminum. Although this has been on the market for over 10 years, it has gone through upgrades and maintains a nice aesthetic. The UV filtering screen slightly overlaps the aluminum case giving it a sleek, if not a plain looking front. Weighing in at 2.9 pounds, the TRAVelite is not the lightest of units we have reviewed but it is one of the lighter more modern units we have come across. The unit is 7 x 2.5 x 13 inches giving it a rectangular shape which looks good either horizontal or vertical. The stand is simple and as previously mentioned allows the unit to be positioned either horizontally or vertically. There is also a hole where you can mount the light on a tripod or on the wall. 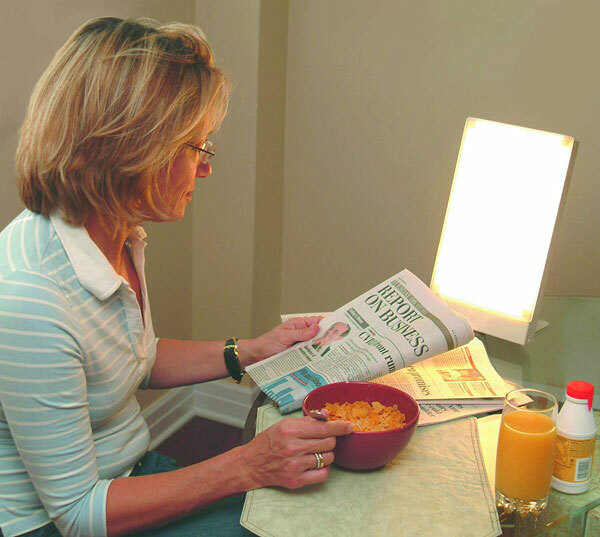 A good feature the has stand is that it enables you to tilt the light down. 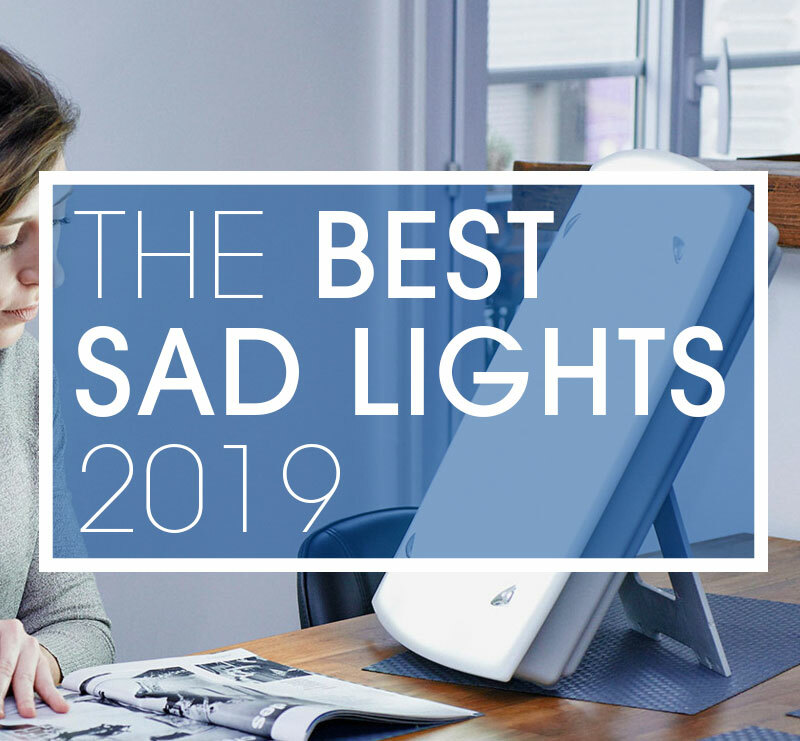 For ideal SAD treatment, the light should be positioned above your eye level so this feature allows you to position the lamp in the ideal spot. There is one switch on the unit, an on/off switch which is located on the top/side (depending on how you have positioned the unit) which is fine and allows you to turn the device off without blinding yourself while staring directly at the light. 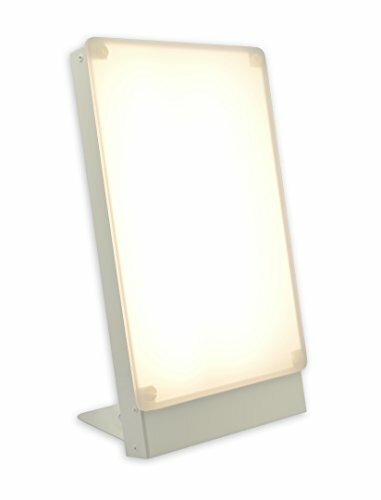 The light outputs 10,000 lux at 12 inches and 6000 lux at 18 inches which is pretty much the standard. 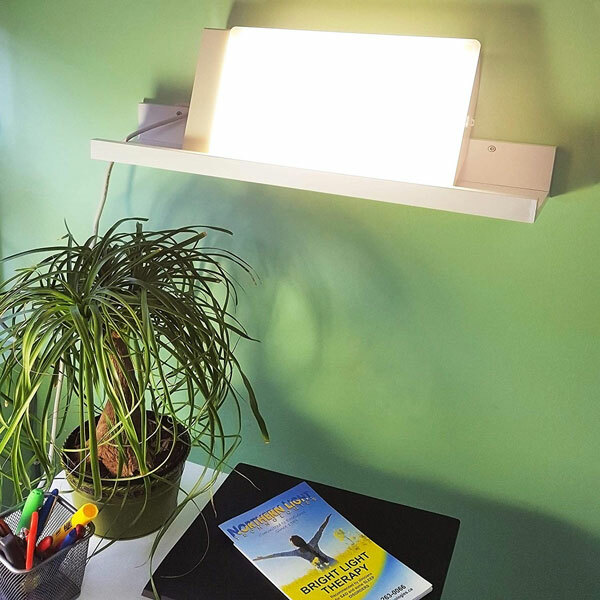 The light it provides is white with a hint of yellow in color and is provided by two CFL bulbs that use 48 watts of power. I found the light to be a nice brightness and comfortable to use. The two bulbs have an expected lifespan of 20,000 hours although they degrade by 15% after 2000 hours and Northern Light technologies recommend that you replace them after this period of time. This unit really has no additional features to talk about. 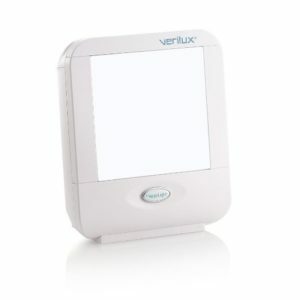 It contains one simple on/off toggle switch and a stand that allows you to position the unit upright or on its side. We find the lack of timer a downside. This cost of this light is from $164.99 including shipping. This puts it in the medium to higher price bracket but this can be justified by the sturdy build quality and the 7-year warranty Northern Light technologies provides with this unit.